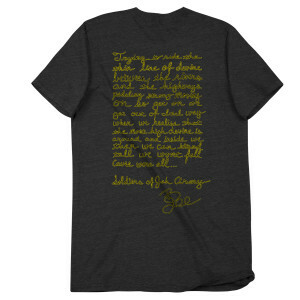 Tri-blend American Apparel t-shirt featuring Bobby Lee Jumpman silhouette on front and lyrics from Whom It May Concern on back (black t-shirt only). American apparel, 50% combed cotton, 50% polyester blend. Available in black and yellow. 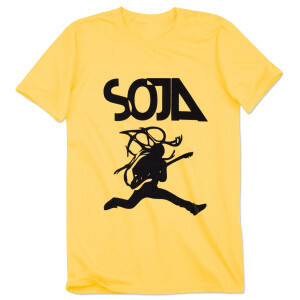 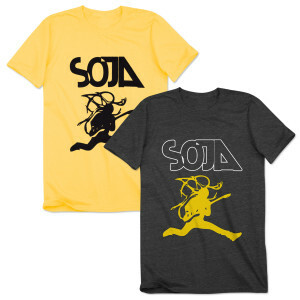 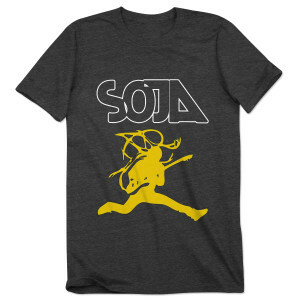 Awesome t-shirt and perfect advertisement for the message of SOJA. 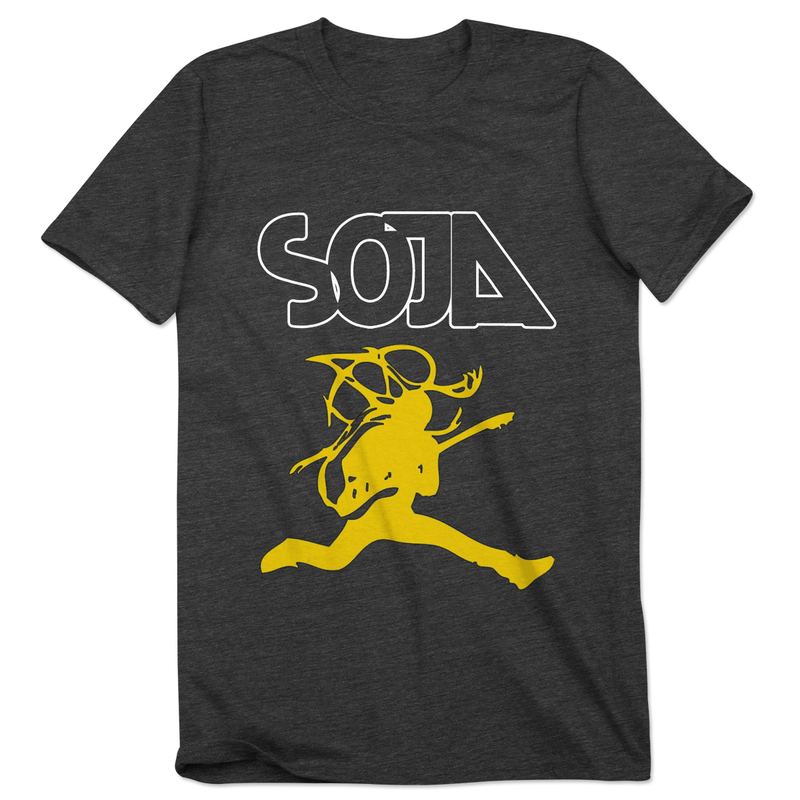 The silhouette of Bobby Lee is classic!